Rare Original Australian Daybill movie poster. 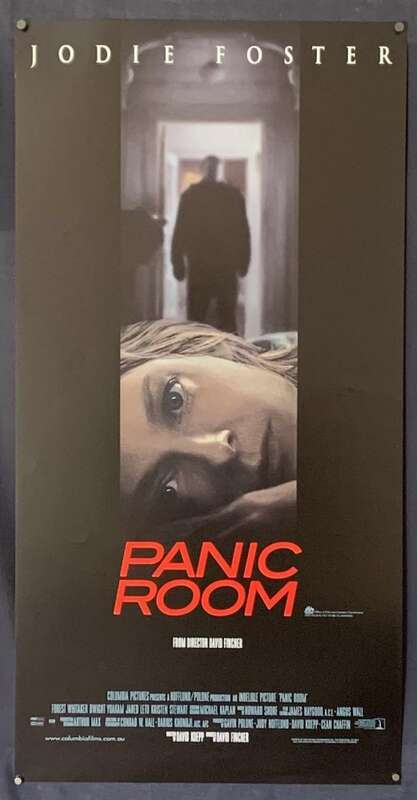 Panic Room is a 2002 American thriller film directed by David Fincher and written by David Koepp. 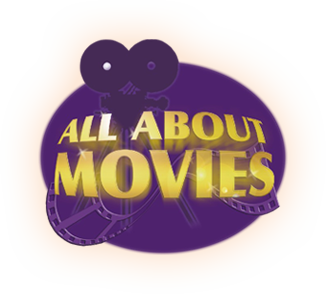 The film stars Jodie Foster and Kristen Stewart as a mother and daughter whose new home is invaded by burglars, played by Forest Whitaker, Jared Leto, and Dwight Yoakam. 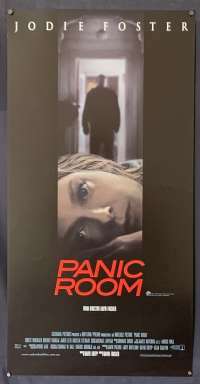 Koepp's screenplay was inspired by news coverage in 2000 about panic rooms. The film was Fincher's fifth feature film, following Fight Club (1999). Nicole Kidman was originally cast as the mother, but she left after aggravating a previous injury. Her departure threatened the completion of the film, but Foster quickly replaced Kidman. Foster became pregnant during the shooting schedule, so filming was suspended until after she gave birth. It was not an easy film for the Director to make.